We are happy to announce that Pauline is coming again to Dasy Design. She is coming on 29 June for a full day class of Acrylic Shaping and Pink & White. 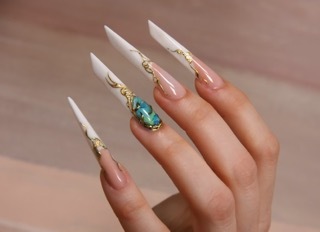 On the 30th of June she will do a full class of Gel Design. We all remembered the classes from last year and all the happy students so if you want to join one of these classes, ore even both of the classes be quick to register because there a limited amount of students possible. 1 day course will be 1500 baht, 2 day course will be 2500 baht.